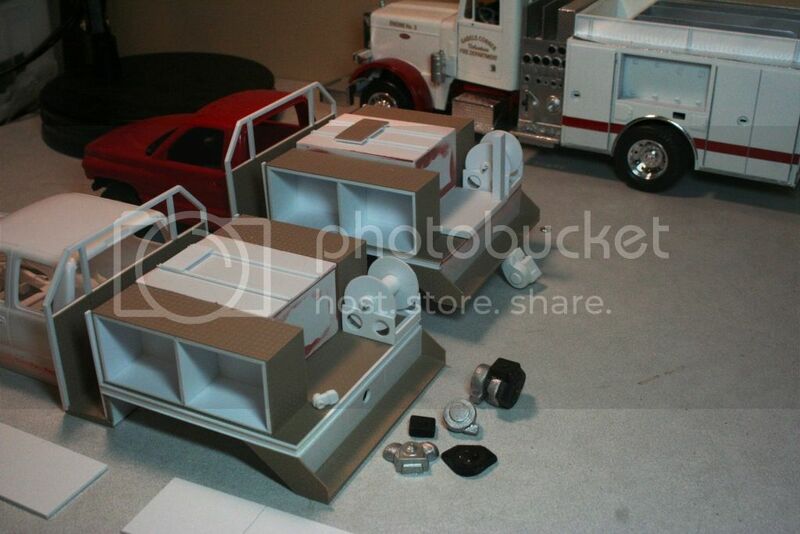 With the finish line for "The Thin Blue Line" CBP fast approaching, I thought I'd follow in Greg's footsteps and offer up another community build project on the topic of the Fire and EMS vehicles. 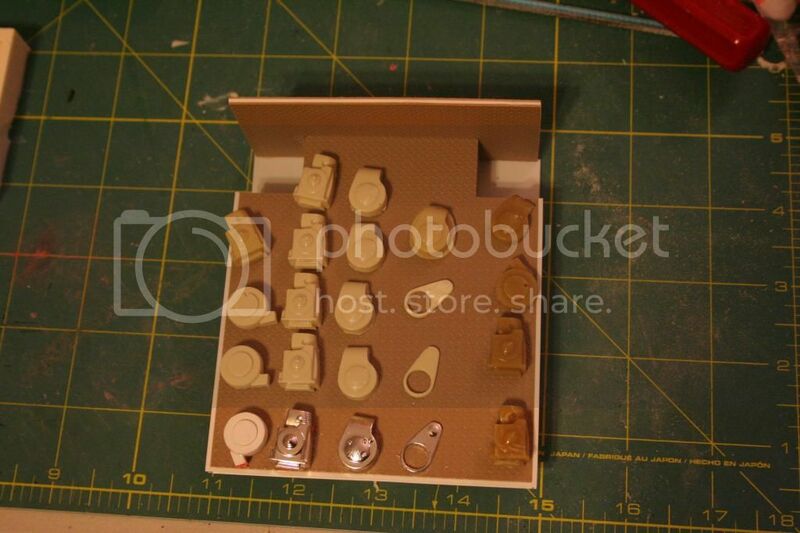 Scratchbuilding is encouraged, Box stock is acceptable. Greg, glad to see you join the build. I'm debating a brush truck as well as a few other types right now. I have three types of brush trucks from my home county that I'd love to do, but the cabs aren't currently available in plastic. 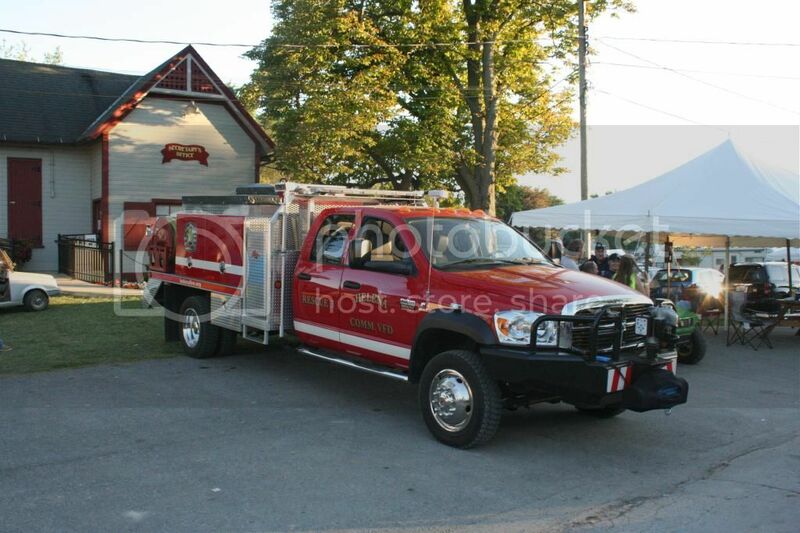 Ballville and Lindsay VFD's also have Weis brush trucks on the Ford F-series chassis. I'm drawn to the Weis trucks, those things are awesome. I'm thinking of using the '99 Silverado with lots of modificaitons, or build one on a '65 Chevy kit as a what-if. Of course, I could use the Revell '77 Chevrolet tow truck kit to make up Sandusky Township's Chevrolet/Pierce mini-pumper, but that really isn't a brush truck. I'm going to have to do some more pondering on this one before I decide which to make. 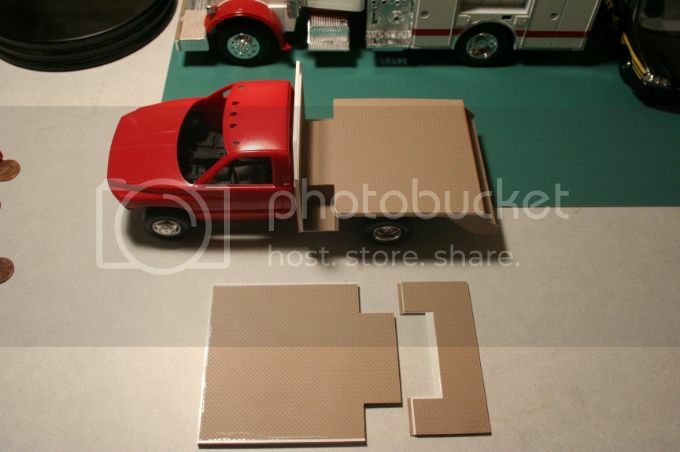 The flatbeds are 11.0 cm long by 9.7 cm wide and designed for a 60" CA DRW chassis. The body features a firefighter walkway between the cab and the tank body so that firefighters can stand and use the 2 tank mounted hand lines to fight the fires. 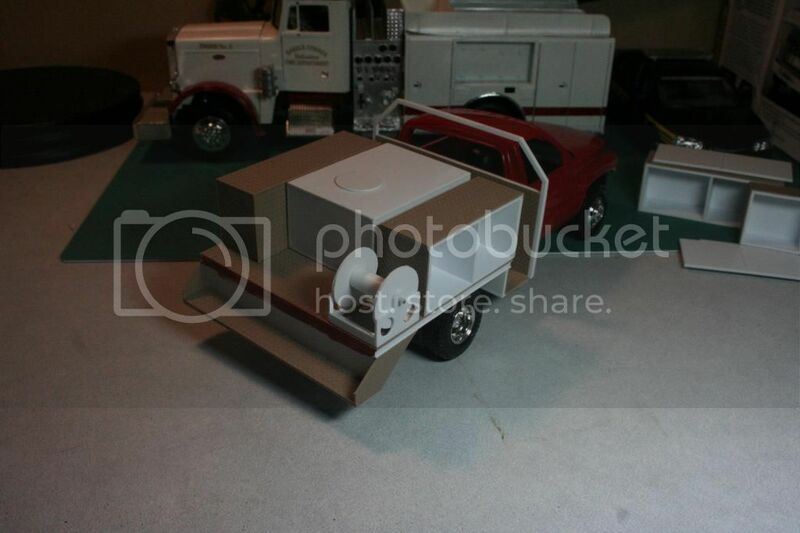 The Dodge Ram 3500 is for mock up purposes only, I haven't decided on the chassis I want to use yet. Wish I could find a Ford F-350 in plastic, but I might consider modifying the '99 Revell Silverado into a Silverado 3500 chassis. I know I could use a diecast F-350, but there is a contest I'd like to enter these in which does not permit diecast cars or trucks, even if I do all of this scratchbuilding. Here's some progress on the flatbeds I got done this past week. Still working on figuring out the parts necessary for a modern pump engine, but the tractor engine from the MPC Lotus Indy turbine kit does lends itself nicely to the block housing. Feel free to join in and start your own fire truck or ambulance. Mr. Me, that sounds like it would fit right in. I've added you to the initial post. Good luck with your build. Thanks, now to find the DAKOTA, any hints there? The tank I could scratchbuild!!! I'm only aware of the Lindberg '98 Dodge Dakota which is still available from some sources. I've built two in the past, but that kit won't work for a '87-96 model year. There's always the option to make what you wish you had back then, or an updated version with a newer Dodge Ram or Dakota, or maybe even an Chevy S-10 or Ford Ranger from that era. Mr. Me. Sounds good, I changed your subject to be more general. Let me know if you need any more help. Well, here's some more progress. 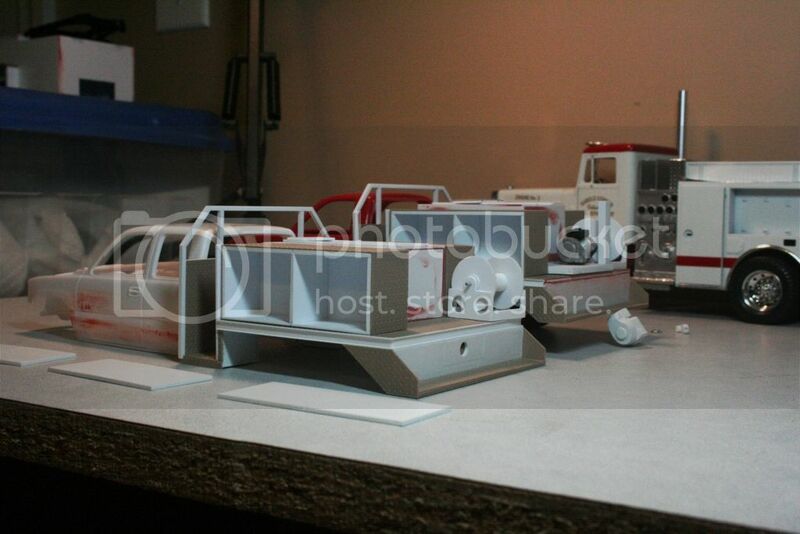 I'm making more progress on the flatbeds so I have to start working on the chassis. 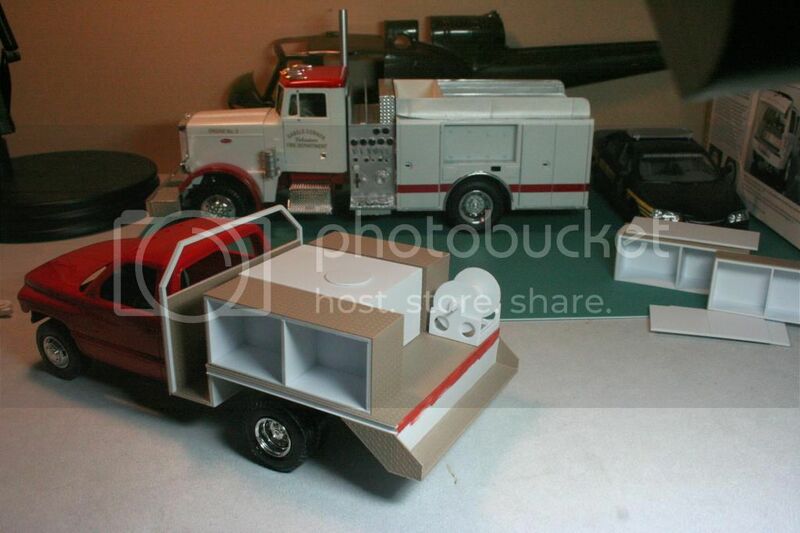 very nice scratch building on the equipment and truck bed! Finally got these back out and started working on them. While I wait for some plastruct parts to arrive so I can start the plumbing work, I decided to cut one of the cabs down to a regular. Not perfect, and it still needs some work after the milliput sets up (not shown in these photos). I used some tape to trace the door curve, then carefully cut out the center section. Once that was done, I measured the cab and then cut down the interior to fit (yes, it still needs more work and some putty). Things to do yet, way too many. 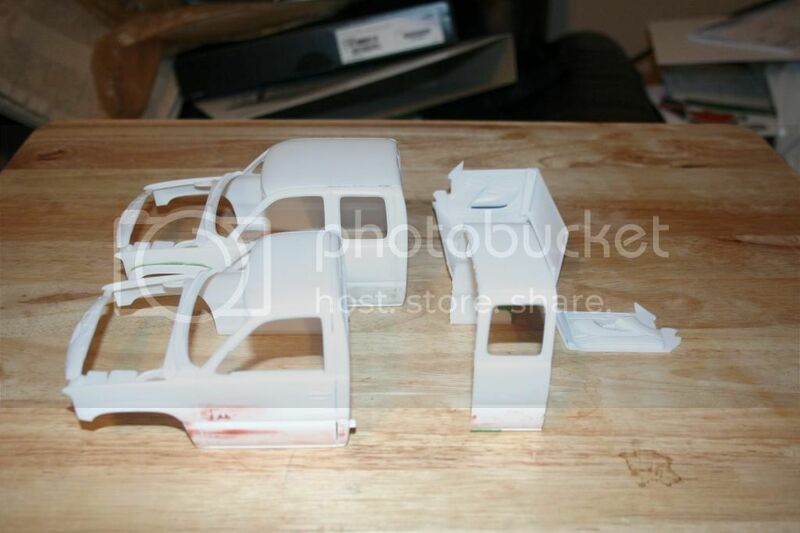 Now to work on the chassis and get both set up for a makeshift stock 4x4 wth dual rear wheels. Time to get a jig ready for leaf springs, then wait for Spring to arrive so I can start painting these trucks and maybe get them done by April.